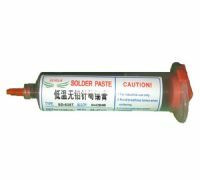 At ConsoleParts4U we’ve got all the parts that you could need for a successful Apple iPod repair. No iPod is 100% guaranteed to not fail, and when it does it’s often outside of warranty – so you can send it to Apple and wait ages for your console to be repaired and a big bill, or get the replacement parts from us and do your own repairs. All our parts are shipped the same day if your order and payment are completed before 4 pm on weekdays, and we offer options including PayPal and Worldpay, for a swift and simple shopping process. 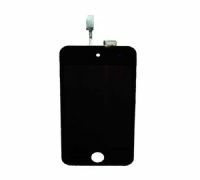 iPod 4 Touch Replacement Home Button - Black, iPod 4 repair. New replacement iPod 4 Touch home button. Fits iPod Touch 4 (8G, 16Gb, 32G and 64G). 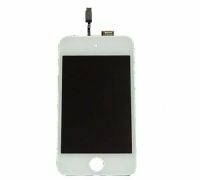 iPod 4 Touch Replacement Home Button - White, iPod 4 repair. 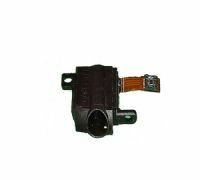 Replacement iPod 4 Touch Home Button Switch on Ribbon Cable. Fits 8Gb, 16Gb, 32Gb and 64Gb models. Replacement iPod 4 Touch Earphone Socket/Headphone Jack/Audio Jack. Fits 8Gb, 16Gb, 32Gb and 64Gb models. Replacement iPod 4 Touch Power Switch/Volume Sitches on Ribbon Cable with S/A fixings. Fits 8Gb, 16Gb, 32Gb and 64Gb models.